Before you decide where, ask yourself why! 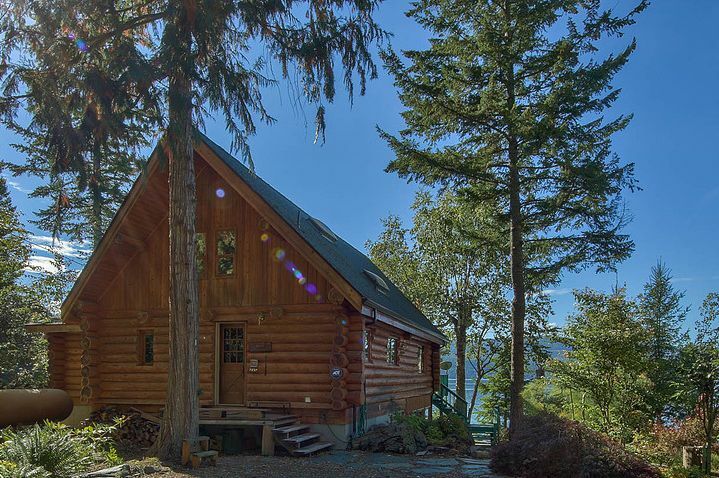 If you’ve been planning to escape the city or spend more of your free time outdoors, you might choose a log cabin as the home base for your new life–or you might just want a place to recharge now and then. The log cabin lifestyle includes your natural surroundings, so it’s a good idea to look at your hobbies and ask what gets you outdoors. Understanding why you like to get away will help make sure you find the perfect place to build a log cabin. Are you’re planning to “log-out” in an off grid experience? Or would you’d rather enjoy nature with every modern convenience? 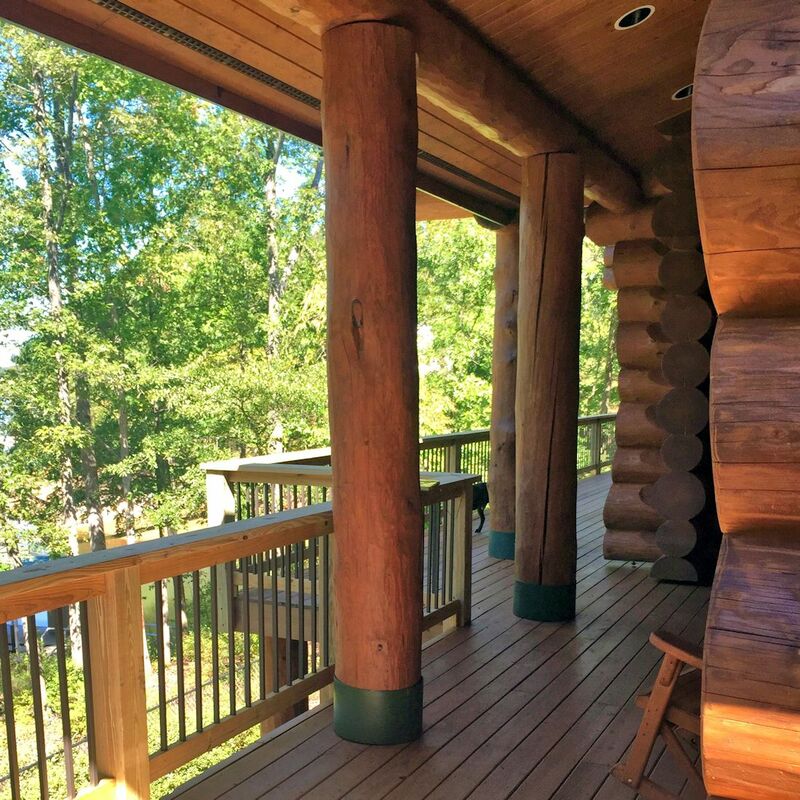 Your personal preference will influence where you build your log home. A log home is the rugged beauty of building techniques and suits the homesteading life AND the luxury lifestyle equally well. Strong and attractive, a log cabin works hard to be your dream home no matter how you want to live. Where you build it is entirely up to you and how you’d like to “live the dream”! Maybe you already have an area in mind that suits the way you unwind, but if you haven’t decided yet, consider the following questions about how you spend your down time. (You’ll be glad you did! 1. Do you dream of a quiet get away in the middle of nowhere to unwind and relax? A larger lot or even an acreage will give you the most privacy. 2. Are you content with a stack of books and some board games to entertain yourself and your family during the evening or would you rather kick back with some Netflix? Do you need wifi? Is electricity available in your desired area or could you live off-grid with solar power or a generator? 3. Do you crave high-adrenaline sports like dirt biking or snowmobiling? Accessible back country with roads and trails suitable for motorsports will keep you from having to load up every time you want to play. 4. If you’re an avid skier or snow-boarder, you’ll want to be near a ski hill, of course! 5. If you’ve got a boat, you’ll want to be near a body of water. Fishing? Wakeboarding? If you’re looking at property near a lake or river, find out if there are any horsepower restrictions that would affect your recreational options. 6. Are you happiest when you’re hiking or mountain biking? 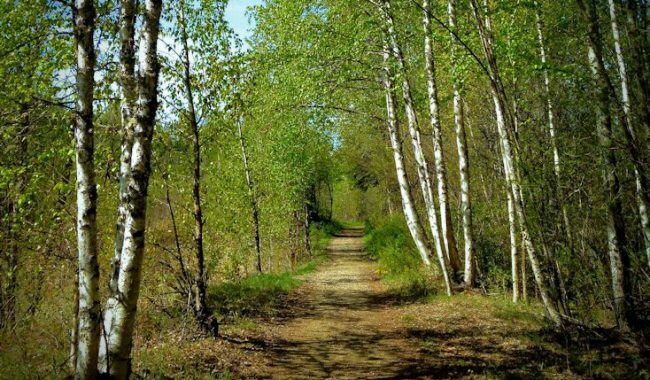 Research nearby trails as you’re looking at property listings. 7. Do you picture a log cabin in a secluded, quiet and peaceful environment or amongst others in a community? How far do you want to drive for groceries and supplies? Learn what’s available in the area. If possible, stay there a night or two. 8. Are you looking for a year round home or getaway? What is the area like in the winter? Will snow-removal be an issue? Do nearby businesses close for the season? Talk to the locals. 9. Is a swift emergency response important to you? You can’t always assume you’ll get help immediately when you call 911 in the wild country. Find out if you’ll even have cell service! 10. Are you happy to cook all your meals at home or do you want to have the option of eating out or ordering delivery? Explore nearby pubs and restaurants (if there are any) and make sure they are open during the time of year you’ll be at your cabin. There’s nothing more exciting than making a home or getaway home in a new place. There’s a little pioneer in all log home lovers…and a hunger for adventure. Just make sure you understand what kind of adventure it’s going to be! If you take all this into consideration before even beginning to look for your piece of land, you’ll have a better understanding of your needs versus the amenities offered in an area. Not only will this ensure you’ll love your new life, it will help narrow down your search and get you there sooner! After you have selected the area you prefer, you’re ready to find that perfect property for you! The next points will definitely make or break your enjoyment of your new log cabin, and your opinion is unique and personal. If you’re lucky, you and your significant other agree on all the big things…if not, look for middle ground! What’s your ideal view from a log cabin? Picture yourself in your finished log cabin. What do you see through the window? Imagine stepping out onto your balcony. You’re surrounded by nature. What do you see? For one person, being surrounded by trees in the middle of a forest is the absolute perfect setting, yet the next person might feel like the trees obscured the view. Do you see yourself in the heart of the forest or on a hill with a sweeping view of lake or mountains? Perhaps you’re drawn to wide open spaces and you want a log ranch house on the plains. Everyone’s idea of beautiful scenery is a little different! Most of us love log cabin life for a certain degree of the seclusion and stillness. In ideal conditions, many remote areas seem like the perfect place to build your dream log cabin home. Don’t be swept away without taking a close look at accessibility. 1. If this isn’t your primary residence, how long will it take you to get there? Is it close enough to spend a weekend? Does this matter? 2. Is your building site convenient to local amenities? Don’t forget that this will affect the cost of construction, too. 4. Will you be using your land for something more than the home site for a log cabin? Do you have farm or garden plans? Will you have livestock? If so, make sure the land is suitable for agriculture. 5. If you’re dreaming of a view property, you may be looking at property on a grade. Consider the challenges and solutions to this. 6. Lakeshore property often comes with environmental restrictions relating to sewage disposal. Understand what these are in advance. 7. Are there services like power and water available at your chosen property? If not (and you’re planning to live with running water and electricity) get quotes from reputable trades who can present viable options. 8. If possible, find out if neighbouring properties have had difficulty finding water. Some areas are known to have issues with well-drilling, and are often priced accordingly. Ask about any known drainage issues, too. No matter how beautiful the scenery is, you’ll have trouble appreciating it if your travel time is exceptionally long and difficult or it’s unusually inconvenient to access practical necessities. It may take years to find the perfect piece of property for building a log cabin, or it might all come together much faster than you expect! You might try to tackle the search logically and sensibly—and that’s good, but there will be a certain element of emotion in a choice as personal as this. Listen to your head, but don’t be afraid to follow your heart! Building a log cabin will become a fascinating part of your life story! Tell us about it! We’re looking forward to hearing from you and discussing how we can build your log cabin dream home on the wonderful land you have chosen!